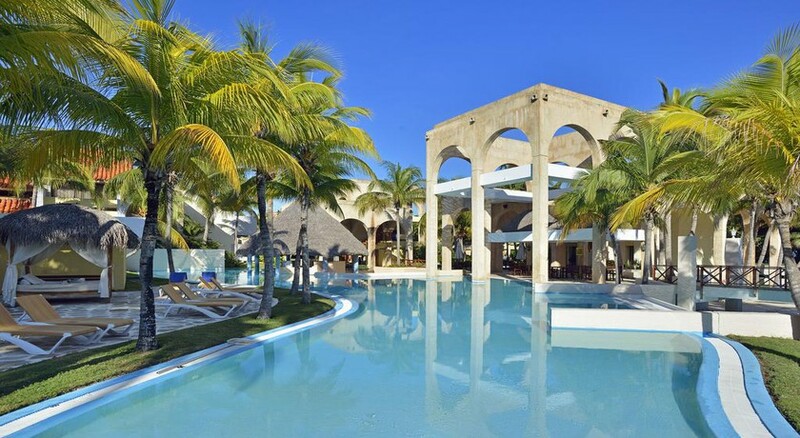 Meliá Las Américas is an adult-only beach hotel situated in the beautiful resort town of Varadero. The hotel has a direct access to Varadero Golf Club, which makes it a perfect stay option for golf-lovers, while its beachfront location with stunning views of the North Atlantic Sea is another perk of staying here. The idyllic surroundings of Varadero provide the perfect backdrop for a quiet vacation with your partner, in which you can either perfect your swing or chill out at the beachfront. The hotel exudes an elegant, tropical charm that’s evident in its luxuriously decorated rooms, suites and bungalows. To make your stay a memorable one, there are a range of leisure and entertainment amenities including beauty salon, massages, fitness centre, 4 freshwater pools, golf course, water sports facilities, tennis courts, club house and lots more. Meliá Las Américas is also the perfect place to organize your business meetings. It has 9 meeting rooms, an internet centre and outdoor seating provisions with capacities ranging from 60 to 650 people. The hotel also provides wedding packages for couples willing to tie the knot in on the beach. 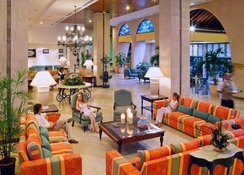 Meliá Las Américas is situated near Playa de Las Americas in Varadero. The beach is less than 10 metres away. The beach town of Varadero is one of the largest resorts in Cuba and receives more than a million tourists every year. It can easily be navigated by bike and car. The Juan Gualberto Gomez International Airport is 33 km away. 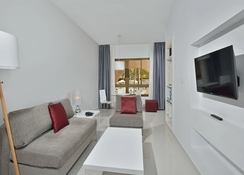 Done up in shades of white, the rooms at Meliá Las Américas are modern and welcoming. They are divided into 11 different types, located either in the main building or in the sea-facing bungalows, which provide a greater sense of privacy. 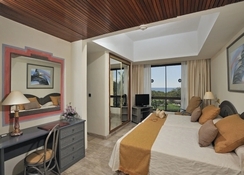 The 2 Presidential Suites in the main building offer impressive views of the golf course, the gardens and the sea. They come with a hydro massage bathtub and a minibar. The Bungalow Suites, on the other hand, are surrounded by the lush gardens and have direct access to the pool. For couples, the best option would be the Grand Suites, which provide breath-taking views through the panoramic windows and all the luxury amenities like flat screen TV with satellite channels, mini bar, safe and free toiletries. 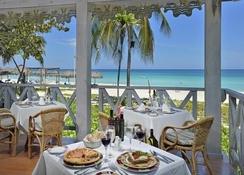 Meliá Las Américas features the best of Cuban food and drink. It has 6 restaurants and 6 bars in total. There is La Terraza for buffet, La Arcada for a la carte international cuisine, Il Limoncello for lovely Mediterranean delicacies, Sakura for scrumptious Japanese food, La Robleza for grilled items and snacks and La Casacada for golfers who want to grab a quick bite during the day. 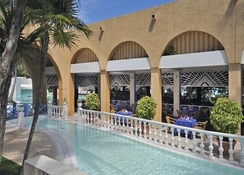 Its bars such as Las Americas, Habana Club, Los Bungalows and Barbacoa provide great drinking options. 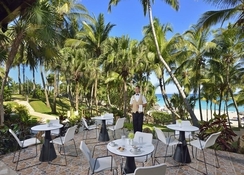 La Valenciana is a charming pool bar that offers a la carte lunch and snacks. Whether you like adventure or prefer to relax, Meliá Las Américas has something for everyone. There is The Club House, which puts up beach activities in the morning and entertainment shows in the evening. Salón Río is another great venue for entertainment activities. For lovers of brawn, there is a fitness centre with cardiovascular equipment, weights and an area to do aerobics. The sea-facing salon of the hotel has massage and beauty therapies for couples. Guests of the hotel enjoy an exclusive access to Varadero Golf House. The hotel also has direct access to the beach which has almost 100 metres to seashore with shallow waters and beautiful, white sand. There are also 4 freshwater pools with 2 pools having hydromassage facilities. There are a number of sports facilities such as tennis, beach volleyball, terrace games and board games. The beach offers plenty of opportunities for water sports like diving, windsurfing, catamarans and pedal boats.